Most of the time Dot picks the books she wants us to read for her. 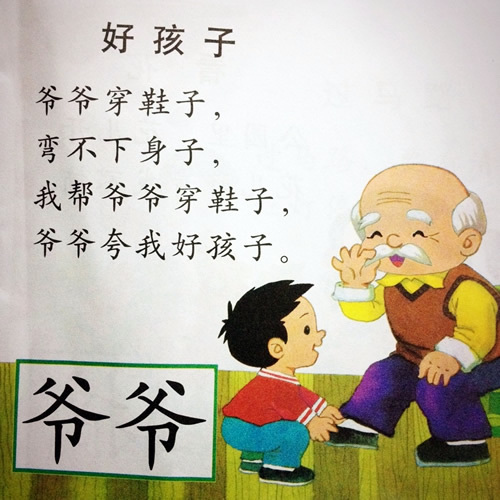 Recently she picked a chinese book and I read her this passage. She surprised me by what she did. After I read this to her, she quickly went to pick my pair of shoes and tried to put them on for me at her own initiative. And she has been doing this for her father and I for the past few days. She learns from this little boy how to serve.